Did your instructor place your course readings on reserve? Search for course reserves by book title, course number, department, or instructor name. Does PSU Library or a Summit library have your book? 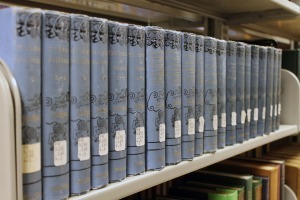 Search the catalog to find books at PSU and Summit Libraries. Sometimes the Library owns a copy of a textbook but your instructor hasn’t placed it on reserve. Sometimes an instructor might have an additional copy as well. Consider asking your instructor to place a copy of the course readings on reserve. Note: unfortunately, you may not borrow required course readings through Interlibrary Loan, and not all Summit libraries will loan textbooks. PSU Bookstore is your first stop for textbook purchases.